Computer storage and storage devices really is a history of computing. Starting with a basic concept; that a switch has two positions on or off, presence or non-presence, 1 or 0. If you could stand in front of your living room light switch and flip it on and off 2 billion times a second you have some idea of how fast memory switching is. But RAM is a subject for another time, today we’ll have a look at some of the early origins of modern storage devices and look at the future of storage that is available today. However in the earliest electro-mechanical computers storage and RAM were not strictly established as separate technologies; however at some point in the past (that point is attributable to cost magnetic storage being quite cheap and RAM being expensive and yet volatile) these technologies diverged. 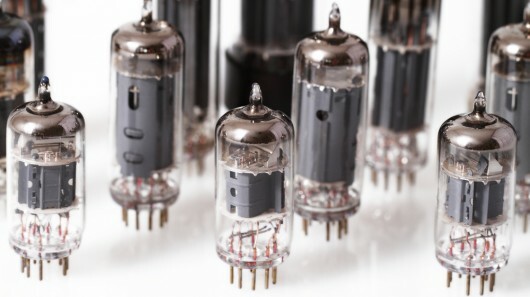 The humble Vacuum Tube. One of the earliest examples of a storage device. Before the discovery of the transistor data was stored in the form of an electrical charge or presence in devices such as Vacuum Tubes. The simplest way to understand how data was represented in these devices is to look at the differences in electrical charge across the pins of the Vacuum Tube. The earliest computers consumed massive amounts of power as a result and featured, punch cards for storing programs and Tickertape for output, bringing the term electro-mechanical to a new level. However, it is with thanks to machines of this type like the Polish Bomba, which permitted the mathematical genius of Alan Turing to re-imagine these early computation engines into the WWII ENIGMA code breaking Bombe machine. These were not strictly computers in the modern sense, their rigid mechanics meant that they were best suited to a specific task, the flexibility of the fully programmable computer required a paradigm shift in the industry. It just so happened that such a shift was underway. 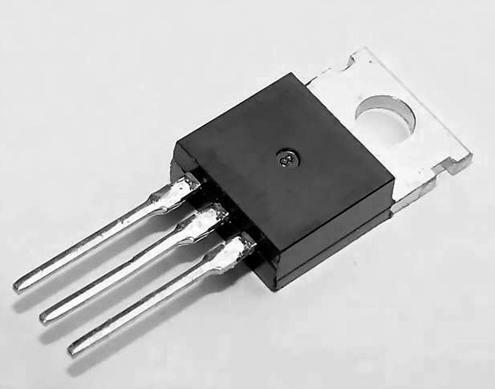 In 1925 a Canadian Physicist called Julius Edgar Lilinfeld filed a patent for an early transistor. He did not submit any supporting research nor did he submit any documented working examples of his discovery. In true visionary style, Lilenfeld’s solid state device ideas could not be constructed with materials available at the time. It would be several decades before the materials required to manufacture this type of electronic device became available not just simply in sufficient quantity but quality. It wasn’t until 1947 that Walter Brattain and John Bardeen working at (Bell Labs, which was owned by AT&T) produced the first Bi-Polar point contact transistor a feat of engineering that won them the 1956 Nobel Peace Prize for Physics. From early theoretical beginnings; it wasn’t until 1954 that the first Silicon transistor was manufactured by Texas Instruments, giving birth to a new breed of electronics that would lead to the information age. It is hard to convey the importance or significance of this simple element of modern electronics. Certainly, our capacity to manufacture ever smaller transistor’s has led to a point where modern GPU’s have upwards of 7 billion of them in their circuitry. Almost every modern device that has electronics at its heart involves some modern form of an array of transistors. Without them you wouldn’t own a computer, but a warehouse sized machine that would need to have its fridge sized components re-arranged to perform different tasks. The practise of physics as a science has led to many significant discoveries that may not be apparent at the time but the application of those discoveries can revolutionise a planet. The latest technological advance in modern computing is the realisation of the Solid State Drive. A radical departure from the older mechanical Hard Disk Drive; the SSD offers significant performance gains over Hard Disk Drives by replacing all the moving components with (what is essentially) refined transistor electronics. The major benefits of these devices is that unlike a Hard Disk, in an SSD you are not relying on a mechanical arm mounted head to find, read and load the data of a spinning magnetic platter, you are instead using a persistent state memory (much like RAM only not Volatile so the data isn’t lost when the system is powered down) technology with no seek time, performance can leap by more than 10 fold as a result of this change. The internal mechanism is so radically different however, that reliability can become an issue as the SSD drives are thought to be reliable for up to around 1 million writes to the same memory registers (depending on average lifetime use and the size of the drive) the average is 5 years. The smaller the drive the fewer the memory storage circuits available and the sooner the drive will fail. Continuous use beyond that point is thought to cause the SSD switching to start fusing the intricate transistor based flash memory storage circuits together. Although the technology is in its infancy, the basic principals that underpin it are quite well understood. As such SSD reliability is constantly improving. Either way SSD’s offer extremely impressive performance.